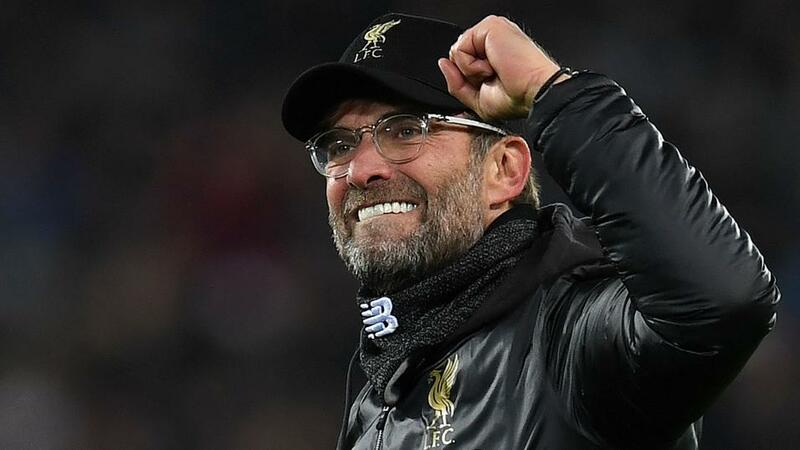 Will Jurgen Klopp be celebrating after Liverpool's match with Chelsea? It's a clash of the titans as Liverpool take on Chelsea. Opta presents the tale of the tape. "Liverpool are unbeaten in their last 37 Premier League games at Anfield – only once in their top-flight history have they had a longer unbeaten home run (63 between Feb 1978-Dec 1980)." They are [1.7] to claim victory. Liverpool haven't won any of their last six Premier League games at Anfield against Chelsea (D4 L2); the Reds have never endured a longer winless home run against an opponent in the competition. A Chelsea win is [5.6]. Chelsea have only lost twice in their last 16 meetings with Liverpool in all competitions (W6 D8). The draw is [4.2]. Chelsea have already won away at Liverpool this season, beating them 2-1 in the EFL Cup. They've never won twice at Anfield within the same season, with Arsenal in 2006-07 the last side to do so against Liverpool. Chelsea are [4.1] in the Draw No Bet market. Liverpool are unbeaten in their last 37 Premier League games at Anfield - only once in their top-flight history have they had a longer unbeaten home run (63 between Feb 1978-Dec 1980). They are [1.7] to claim victory. Chelsea have lost their last five Premier League away games against fellow 'big six' opponents, including all three season by an aggregate score of 1-11. Liverpool are [2.62] to win half-time/full-time. Chelsea have won three Premier League games in a row for the first time since September 2018, when they won their first five matches in the competition under Maurizio Sarri. They are [2.3] Double Chance. Liverpool striker Daniel Sturridge netted the equaliser for his side at Stamford Bridge in the reverse fixture back in September; the only former player to net both home and away against the Blues within the same campaign was Fabio Borini, who did so for Sunderland during the 2015-16 season. Sturridge is [3.5] to score. Only three of the last 32 visiting managers have managed to taste victory in their first Premier League trip to Anfield (W3 D5 L24); Louis van Gaal in March 2015, Slaven Bilic in August 2015 and most recently, Paul Clement in January 2017. The draw half-time/Liverpool full-time double result is [4.9]. Roberto Firmino has scored seven goals in his last six Premier League home games for Liverpool. However, the Brazilian has only faced Man Utd (8) and Everton (7) more often than Chelsea (5) without finding the net in the Premier League. Firmino is [2.9] to score. Chelsea's Eden Hazard has had a hand in more goals than any other Premier League player this season (28 - 16 goals and 12 assists). The only league season in which the Belgian has been involved in more goals was in 2011/12 with Ligue 1 club Lille (36). Hazard is [3.9] to find the net.